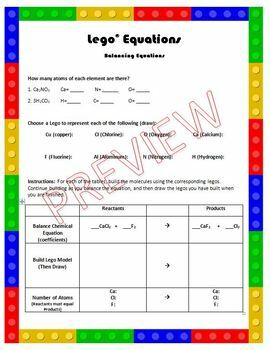 This is a hands-on activity that leads students as they learn to balance equations. 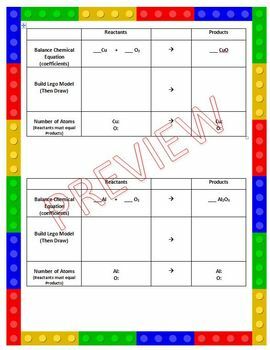 Students use Legos to represent atoms as they build molecules. 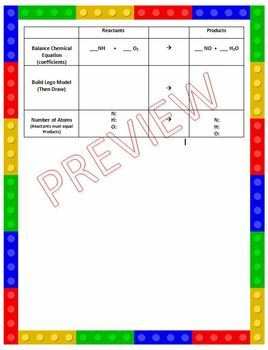 By doing this, students see how a balanced equation really contains the same number of reactants as products. This gives a good visualization of what actually happens when you add coefficients. 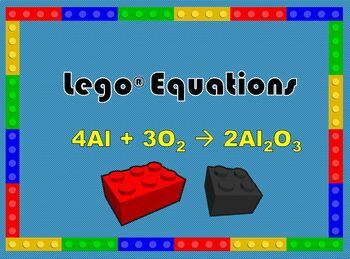 Using Legos isn't absolutely necessary for this activity because they can just draw them. However, it is much more fun with real Legos!